NTRA Unveils 2015 Federal Agenda For Washington, D.C.
LEXINGTON, Ky. (Wednesday, March 11, 2015) – The National Thoroughbred Racing Association (NTRA) today announced its federal legislative agenda for the 114th Congress, which convened in January. Economic issues again dominate the agenda as tax matters re-emerge in the new Congress along with Internet gaming, immigration and racehorse drug and therapeutic medication regulation and testing. In the last Congress, NTRA secured passage of three critical bills: the standardized, three-year depreciation for racehorses; bonus depreciation that permits taxpayers to depreciate 50 percent of qualified new depreciable property in the year it is purchased and placed into service (e.g. yearlings and farm equipment); and the expanded Sec. 179 expense allowance pegged at $500,000 with a $2 million threshold for qualified new or used property purchased and placed in service (e.g. broodmares, racing and stallion prospects). These provisions were extended for one year in 2014 and will be up for renewal in 2015. NTRA’s 2015 agenda primarily focuses on several major tax issues that impact the industry’s bottom line. The first is continuation of the uniform three-year depreciation of Thoroughbred racehorses that was secured in 2014. NTRA seeks to obtain a longer extension of this provision along with bonus depreciation and current levels for Sec. 179 expensing. Congress is expected to act on these and other tax issues in 2015. NTRA will also continue its efforts to modernize tax withholding and reporting requirements now in place for winning wagers. Winning wagers are currently reportable on winning tickets paying $600 or more at odds greater than 300-1; withholding occurs on these tickets when paying $5,000 or more. These rules, instituted in the 1970s, no longer reflect today’s wagering climate with the advent of popular wagering products such as Trifectas, Superfectas and multi-race wagers (Pick Three, Pick Four, Pick Six, etc.). After several attempts at securing legislation to double the level of reporting and eliminate winning wager withholding, NTRA is now approaching this issue by seeking a clarification of the “amount wagered” from the Department of Treasury. NTRA believes that modernizing the way the IRS calculates the amount wagered to include all money bet into a single pool on a winning wager would eliminate many of the reporting and withholding tickets and simplify racetrack IRS reporting obligations. In 2014, a 17-member, bipartisan group of House Representatives sent a letter to the Secretary of Treasury asking that such a change be made. In January of this year, leaders among this bipartisan group continued their efforts by arranging a meeting between industry stakeholders and a high-level Treasury official to discuss the change. Treasury is currently examining form W2-G reporting and indicated a willingness to accept comments concerning the suggested change. Since 2000, when it secured legislation to clarify the legality of online pari-mutuel wagering under the Interstate Horseracing Act (IHA), the NTRA has represented the industry’s interests at the federal level in the area of Internet gaming. In 2006, when Congress passed the Unlawful Internet Gambling Enforcement Act which banned most forms of Internet wagering, the NTRA team secured language to protect activities permissible under the IHA. 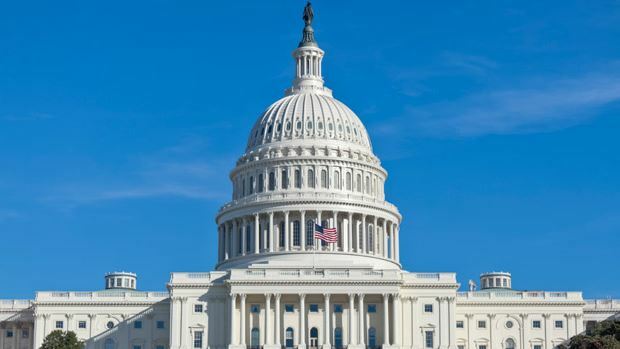 The “Restoration of America’s Wire Act,” a bill that would ban all forms of wagering on the Internet other than pari-mutuel wagering, was introduced in the House of Representatives in February. Racehorse drug and therapeutic medication regulation and testing bills introduced in several previous Congresses are expected to re-emerge in 2015. These bills will probably provide for some type of federal or central authority over testing for illegal drugs and the regulation of therapeutic medications in horse racing. “The NTRA has taken no position on these bills as our membership remains divided on the issue of federal or central authority over testing for banned substances and the regulation of therapeutic medications; however, the association continues to provide information and data to interested parties and remains committed to achieving consensus on this issue,” Waldrop said. Immigration remains a complex and difficult issue for Congress. The Senate passed an immigration bill last session that the House failed to act on. The NTRA is part of larger business coalitions working to improve immigration laws but it remains questionable whether Congress will find consensus on this issue, particularly in the run-up to the 2016 Presidential election. For over a decade, the NTRA has worked with the Alpine Group, a Washington, D.C.-based bipartisan government affairs consulting firm. The NTRA’s lead lobbyist is Greg Means, a founding partner of the Alpine Group who previously served as chief of staff for Rep. Dennis Eckart (D-OH), a member of the House of Representatives Energy & Commerce Committee. The NTRA lobbying team also includes Bob R. Brooks, a racehorse owner and former chief of staff for Rep. Jim McCrery (R-LA), who chaired the House Ways & Means Committee; Lauren Bazel, formerly the chief tax reporter for the BNA Daily Tax Report and a senior advisor to Senators John Kerry (D-MA), William Cowan (D-MA) and Maria Cantwell (D-WA); and Tad Davis, formerly with the Office of the Chief Counsel, Internal Revenue Service, and founding member of the law firm of Davis & Harman, LLP, based in Washington, D.C. Since 2002, NTRA has operated the bipartisan Horse PAC, chaired by William S. Farish Jr. Horse PAC has disbursed more than $3 million to more than 250 candidates and 75 Leadership PACs and is the industry’s largest federal PAC. Horse PAC focuses on candidates who understand racing’s issues, serve on committees that oversee the industry, have racetracks and other racing-related industries in their districts, serve in leadership roles, are members of the Congressional Horse Caucus or are emerging leaders meriting early support.